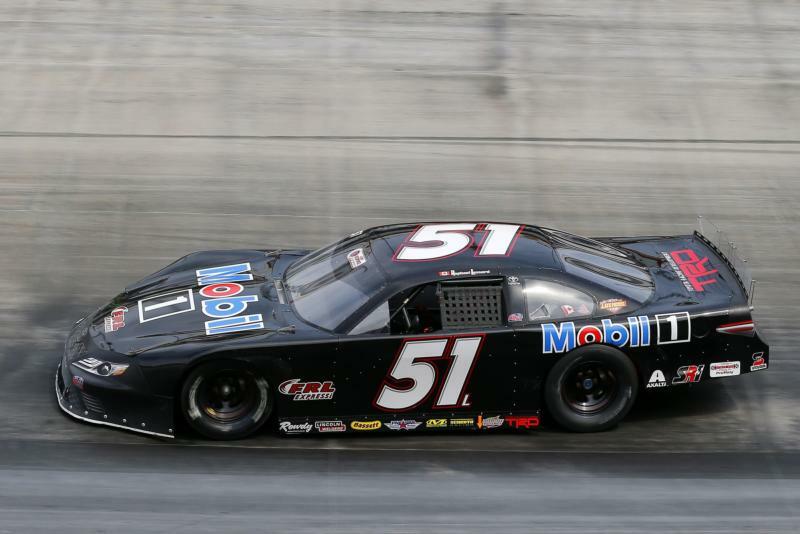 Canadian driver and rising stock car star Raphael Lessard scored the biggest win of his career Sunday by taking the checkered flag in the 100-lap Super Late Model feature race at the Rusty Wallace Automotive Group Short Track U.S. Nationals at historic Bristol Motor Speedway. Lessard, who drives the No. 51 Mobile 1 Toyota owned by Kyle Busch Motorsports, led 30 laps early in the race, hung back in the middle portion of the event and then retook the lead with less than 30 to go and put the hammer down and cruised to the victory. The 16-year-old driver from Quebec finished in front of NASCAR Truck Series regular Stewart Friesen, Corey Heim and Mason Mingus to earn his first win in the Super Late Model division. Lessard led more than 40 laps en route to the victory. "This is awesome to be here in Bristol, it's amazing," Lessard said in his noticeable French accent. "I can't thank my team enough. Kyle Busch Motorsports has given me a great car all year. The Camry was really good." He made his final move for the lead late in the race when polesitter Trevor Noles was setting the pace in his No. 22 machine. Noles ran into lapped traffic before a tire rub took him out of the race. Noles eventually finished 15th. "Trevor was really fast," Lessard said. "I was trying to save as much as I can and keep up with him at the same time. I knew if I would save a little bit I would have a shot at it at the end. He got caught with a lapped car at the end and I thought that was my chance so I went for it." Lessard said winning at The Last Great Colosseum was a major thrill. He was enamored with the traditional gladiator sword that BMS presents each of its major winners in Victory Lane. "When you see those names up in the stands, the drivers who have won here in the past, it's really great," Lessard said. "Now to know that you are part of it, it's amazing. I can't believe it." In other racing during the final day, Chuck Barnes successfully defended his Street Stock victory by racing to the checkered flag in the 50-lap event. Steve Vore scored the victory in the 50-lap Compact Series main feature and Dan Banker captured the 25-lap Street Stock B Feature victory.